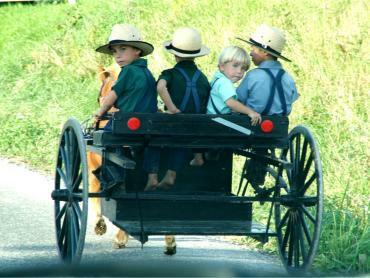 Visit The Amish Farm & House to learn about Lancaster County's Old Order Amish. Take a tour of the historic farmhouse which was last occupied by an Amish family. 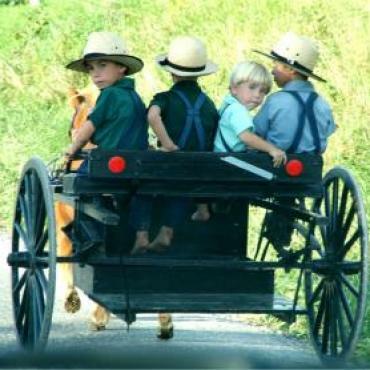 Your knowledeable tour guide will explain the Amish history, clothing, customs and culture as you wander the various rooms of the home. Learn the reasons and the "whys" behind many of their traditions. Afterwards, wander the 15-acre farm, .follow the walking paths as you see a wide variety of farm animals, and step back into history in the barns and find exhibits including an authentic tobacco stripping room and an original blacksmith shop. Be sure to watch the resident quilter as she works on her unique creations.